Spaying or neutering your bunny not only prevents unwanted litters, but it also helps prevent health problems in the future. Particularly, it helps lessen aggressive, territory-marking behavior in males, and it prevents uterine cancer in females and testicular cancer in males. Strain noted the importance of making sure you take your bunny to a vet who is knowledgeable about rabbits, as “some rabbits do not do well with anesthesia” and rabbits are much different than dogs or cats, she said. Make sure to brush your rabbit regularly, Flores suggests once a week, from head to tail with a soft brush. This helps keep the bunny’s coat healthy and will get rid of unwanted, excess hair. Make sure to trim your rabbit’s toenails, too. Hay and grass should form the basis (80%) of your rabbit’s diet. 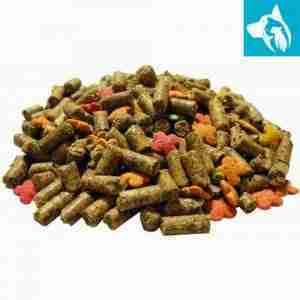 The remainder of your rabbit’s diet should be fresh vegetables (15%) and a few pellets (around 5%). 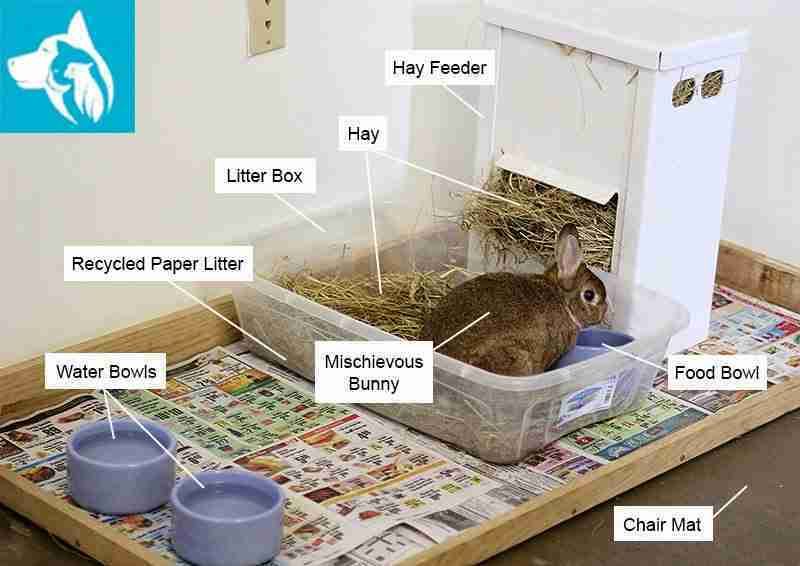 Hay is a vital part of a rabbit’s diet (do not confuse with straw which is for bedding only). Provide a good-sized handful of fresh hay every day. Hay provides fiber and helps wear down a rabbit’s teeth. Purchase fresh hay from feed stores or some pet shops. Make sure it is not damp, dusty or moldy as this could cause respiratory illness. Rabbits love grass, dandelion leaves, thistle, plantain leaves and dock leaves. Ensure the leaves haven’t been sprayed with poison or repellents. Rabbits love fresh herbs which provide health benefits. A herb garden can lead to a happy, healthy bunny. Feeding a variety of fresh vegetables provides essential nutrients. Click here for rabbit-safe fresh foods. Introduce vegetables slowly, one at a time. If they cause diarrhea, stop feeding them immediately. Rabbits under 12 weeks have sensitive stomachs so introduce all new foods very gradually from 12 weeks. This prevents diarrhea which can be fatal at a young age. Avoid pellets with dried fruits, nuts, grains and colored pieces which are high in fat, sugar, and salt. Choose pellets with high fiber content (>15%) and less protein than fiber. Refer to feeding instructions on the bag. Overfeeding of pellets is a common cause of obesity in older rabbits. Fruit and special rabbit treats are high in sugar and/or salt, so give only occasionally. Use kale, spinach and silver beet sparingly. Some fruit tree branches and leaves are suitable to eat, but not all, so click here for more details. Give carrots only as treats as they are high in starch. Celery must be cut into 1 cm pieces as it can get caught in their intestines. Never feed your rabbit processed human foods such as chocolate, cookies, crackers, cereal, yogurt, milk, pasta or bread. If you don’t know what it is or whether it is safe, don’t feed it to your pet! Fresh water must always be available and replaced daily. Use heavy containers for food and water to avoid spillage, or use a pet sipper bottle or container that clips to the cage. 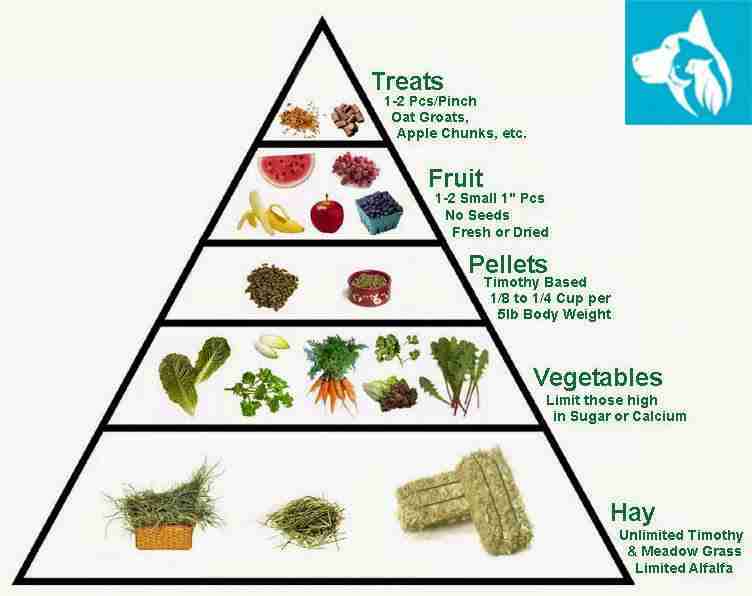 Only introduce a new food or change to your rabbit’s diet gradually to avoid digestive problems. Your advice to regularly brush your rabbit in order to keep their coat healthy and remove unwanted hair is a good idea. 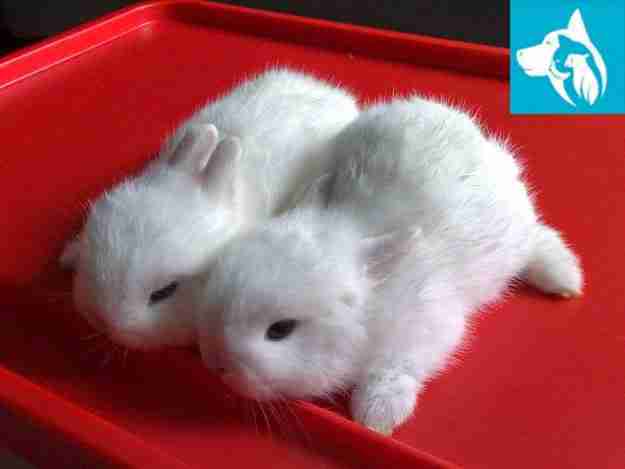 In order to keep their coat in the best condition, it could also help to visit a rabbit grooming service. Doing this could ensure they’re cared for by a professional so that they’re healthy and look beautiful.